Inspired by the contradictions, passion & violence of their homeland, and infused with new views provided by a life on the move, SEITA delivers a sound best described as pure aggression in its most visceral form. Early in 2007 drummer Dom Mura and vocalist/guitarist Michel Gambini got together and, ignoring the latest fads in the music scene, start writing material. Within no time they had punched out songs that they felt had the potential to go beyond the walls of their rehearsal room – an energy later boosted by creative guitarist Edson Munhoz. In March 2008 bass-player André Sparta completes the line-up and the band finishes the self-recorded MCD ‘Imprint Forever’ (6 tracks + intro). Positive reactions by press and audience follow. Between late 2008 and 2011 SEITA plays many live shows/festivals in the Netherlands, Belgium, Germany, France, Spain and in 2009 the band is invited to play 3 festival performances in South-Korea (Dongducheon Rock Festival/Dongducheon, Asia Metal Festival/Seoul and Trendkill Extreme Feast/Seoul). End of 2010 André Sparta leaves the band and new bassplayer Diego Gomez joins the band. SEITA supported bands like SOULFLY, PESTILENCE, SKARHEAD, SINISTER, THE ACCÜSED, ENEMY REIGN and many other (inter)national acts. 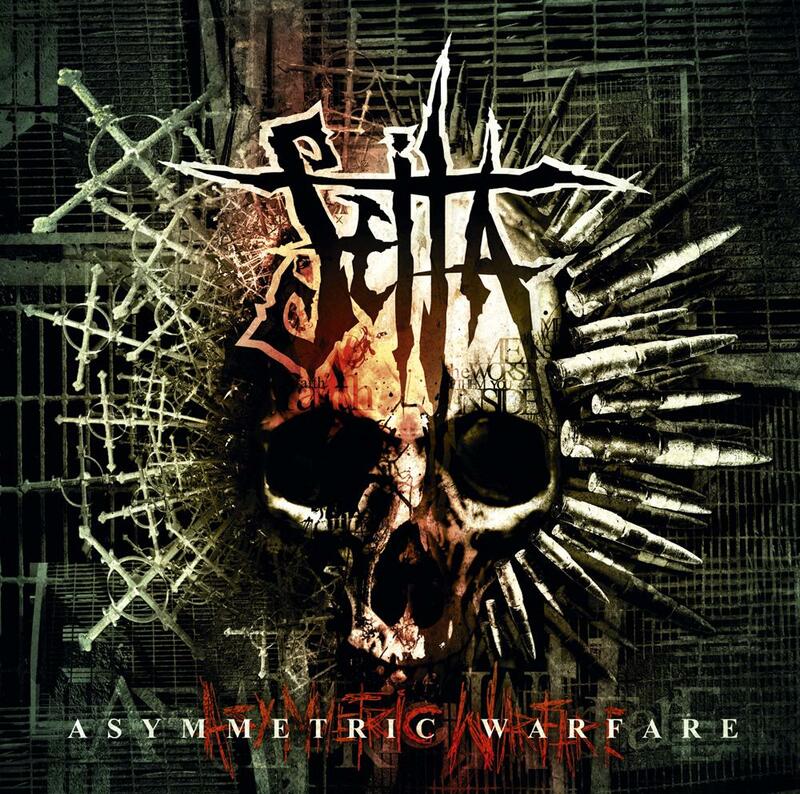 Coming from far with a clear goal in mind, they give it ALL on stage!31 March 2012 SEITA’s new CD ‘Asymmetric Warfare’ (10 tracks) will be released in co-operation with SAOL/CMM. Mixing/mastering was in the hands of Daniel Bergstrand/Rickard Sporrong, known from their work for bands like MESHUGGAH, BEMEMOTH, DECAPITATED, SOILWORK, IN FLAMES, DIMMU BORGIR etc.